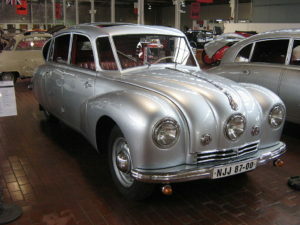 When Is the Last Time You Saw a 1947 Tatra T87? 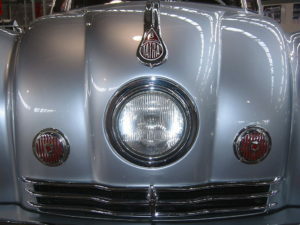 The Tatra T87 from 1947 was a Czechoslovakian car designed by Hans Ledwinka. 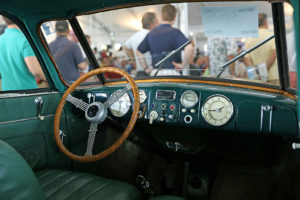 The ’47 T87 Tatra had suicide doors and a lot of the interior trim was crafted from wood. Horizontal slots in the rear hood help with cooling the engine. 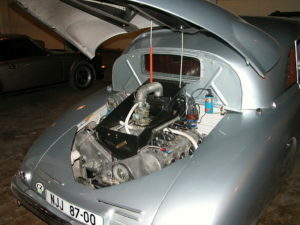 A push-button starter kicks on the 3.0 Litre V8 Tatra engine. 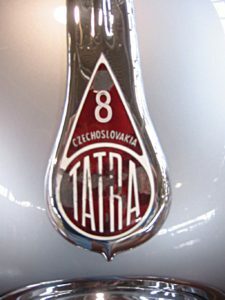 The Tatra T87 features a fin that splits the pressure evenly on each side of the T87 to improve the way it handles. 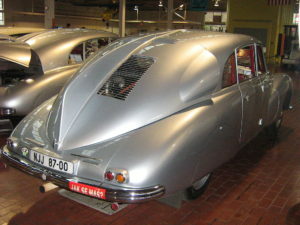 This Tatra model is considered one of the most aerodynamic cars ever created, and wind tunnel testing proved it to have a drag coefficient of 0.36. Part of the reason Classic Cars Online US exists is to help connect classic car buyers and sellers, and we’ve added several ways for you to connect – pick your favorite, or join us in all four places: (1) sign up on the Classifieds page here on the site, (2) visit and like this site’s Facebook page, (3) the Best Classic Cars for Sale page or (4) join the Classic Cars Online: Classic Cars for Sale group if you are looking to buy or sell classic Czechoslovakian cars.